El Paso County Public Health in 2019 has elected a new Board of Health President and Vice President, in addition to welcoming a new Board member. At its regular meeting Wednesday, the Board also recognized the five years of service for past president, Kari Kilroy. Kilroy will remain as a board member. “We thank you for your commitment, dedication, and passion for serving these past five years,” said newly elected President, Dr. James Terbush. “You’ve been a great mentor and I appreciate your example,” Terbush said. Kilroy often partnered with staff to raise awareness about community health issues, with a particular passion for protecting kids from drugs such as nicotine and marijuana, he said. 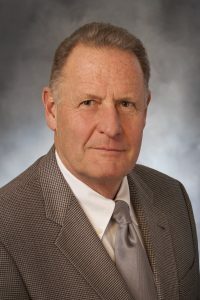 Terbush, the new Board of Health President, has been a member of the Board for five years, and served as Vice President from December 2013 to December 2018. Dr. Terbush received his Doctor of Medicine from the University of Colorado and he holds a Master’s Degree in Public Health from the University of California. His background includes serving as the Fleet Surgeon for Commander in the U.S. Naval Forces Southern Command, in addition to serving as the Command Surgeon for North American Aerospace Defense Command (NORAD) and U.S. Northern Command (USNORTHCOM). The new Board of Health Vice President, Victoria Broerman, has been a member of the Board since 2011. Broerman is a registered nurse with more than 26 years of experience in patient care and governmental affairs. She is also an active member of the Colorado Springs Chamber of Commerce, past board member of the State of Colorado Board of Nursing, and a volunteer at the Marian House Soup Kitchen. The Board of Health also welcomes Cami Bremer as a new member of the Board. Bremer replaces Peggy Littleton, who served as a Board member from January 2017 to December 2018. Bremer was also recently appointed as a County Commissioner for District 5. She has a Master’s Degree in Business Management and Marketing from the University of Colorado. She has broad experience in government and media relations as well as health care and nonprofit management. She has served as Regional Director for the American Heart Association, Provider and Community Relations Manager for Penrose Cancer Center, Director of Governmental Affairs for the Chamber of Commerce, and Communication Specialist for the City of Colorado Springs. Past president Kilroy is the Office Supervisor/Executive Assistant to the CEO and Board of Directors at UCHealth Memorial, with nearly 20 years of nonprofit and public sector experience. She was appointed to the Board of Health in 2012, and elected Board of Health President from 2014-2018. Kilroy has served other community organizations, including the El Paso County Citizen Budget Oversight Committee and the City of Manitou Springs Parking Authority Board. She is the current Chair of the Communications Committee for the Association of Healthcare Administrative Professionals, which publishes an award-winning newsletter. Kari has a Bachelor’s degree in Philosophy from UCCS and a Master’s degree in Health Communication from Emerson College/Tufts University School of Medicine in Boston. 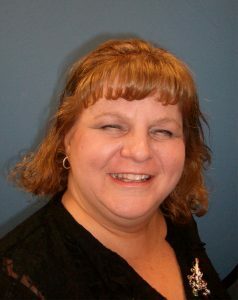 She is also a graduate of the UCCS College of Business “Leadership Development for Emerging Healthcare Leaders” Program. For more information about the Board of Health, go to www.elpasocountyhealth.org.